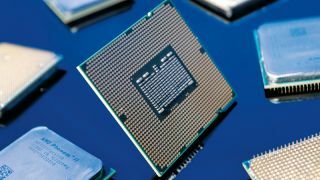 What new PC processors will we see in 2019? This last year has been a bizarre one in the world of PC components. AMD, Intel and Nvidia have all launched major product lines that ruled their prospective portions of the market – at least for a little while. AMD launched its Ryzen and Threadripper 2nd Generation lineups, which brought about fantastic performance at a bargain price, while Nvidia launched Turing and the best graphics cards we’ve ever seen. And, Intel? Well, Intel released four different microarchitectures to varying degrees of success. But, what will 2019 look like? As all of these manufacturers mobilize to launch more efficient silicon than ever before, will we finally start seeing 7-nanometer (nm) processors in the mainstream? Or, will AMD launch a line of graphics cards that gives the RTX 2080 and RTX 2080 Ti a run for their money? What will the mid- and low-end Nvidia Turing cards look like? For years, AMD has been playing the underdog both in graphics cards and the best processors. However, now that AMD is selling twice as many processors as Intel, it’s heading into the new year as a dominant force in the market – even if it still needs to catch up to Nvidia. Ryzen 3rd Generation. The AMD Ryzen 3000 series processors are a sure thing in 2019, and while leaks have pointed to them being 16-core monstrosities with core speeds up to 4.7GHz, we think that’s a little bit pie-in-the-sky. Still, AMD is shrinking its manufacturing process to 7nm in 2019, according to leaked road maps from Informatica Cero, so we’ll likely see better efficiency and performance across the board – hopefully while keeping its stellar price-to-performance balance. Threadripper 3rd Generation. As is the norm over the last couple years, we’ll likely see a new line of Threadripper HEDT processors show up in Summer 2019. The leaked roadmap we mentioned earlier points to a “Castle Peak” architecture following AMD Ryzen Threadripper 2nd Generation, likely based on the same Zen 2 process as Ryzen 3rd Generation. Similar to its mainstream Ryzen platform, we expect AMD’s next HEDT line to bring improved efficiency and performance. AMD Vega 7nm. AMD has a press conference at CES 2019, and we’re pretty sure that it’s going to announce 7nm Vega graphics cards for creatives and professionals. We’ve already seen AMD tease 7nm graphics cards for CES, and the AMD Vega II logo has been revealed in a trademark application. It’s a pretty safe bet that AMD Vega II will be revealed very soon. We know significantly less about what Intel is going to do in 2019. It’s known that the silicon giant is going to do something, but the specifics are a bit arcane at the moment. Between Cannon Lake, Sunny Cove and some HEDT chips, we’re sure following Intel is going to be a rollercoaster this year – like it is every year. Sunny Cove? Cannon Lake? Coffee Lake Refresh just came out a couple months ago, bringing extremely high core counts and clock speeds together for the first time – the Intel Core i9-9900K blows everything out of the water. It’s still a stopgap, though. We’ve been waiting for 10nm Cannon Lake processors for years now, so hopefully we’ll see some more efficient silicon in 2019 – even if it’s called Sunny Cove instead. More laptop processors. Even though Intel’s 9th generation of processors kicked off in October 2018 with Coffee Lake Refresh, we’re still seeing a ton of laptops with the 8th-generation Kaby Lake Refresh processors that launched all the way back in 2018. We expect Intel to refresh mainstream laptops next year, though we’d be happy if we saw more laptops with Whisky Lake chips. Intel graphics cards. Intel has been hinting at launching its own line of graphics cards for a while now, and we have to say: we’re intrigued. While Intel has come out and said that it’s on track to release graphics cards in 2020, not 2019, Intel will likely show off some of its new graphics architecture. Will they be consumer cards? Or – what we think is more likely – GPUs aimed at taking on Nvidia Volta and AMD Vega in the professional space? We’ll just have to wait and see. Nvidia had a pretty action-packed 2018, so we’re not expecting anything groundbreaking from the graphics giant. It already launched Turing for consumers and Volta for data scientists and professionals, so we’ll likely see those lineups expand throughout the year. More Turing desktop graphics. We’ve started to see some leaks and speculation crop up about the Nvidia RTX 2060 start to surface. The Nvidia Turing lineup, as it exists today, is extremely expensive, so we’re hoping that whatever the RTX 2060 is capable of, it’ll be more affordable for mainstream consumers. Not everyone wants to drop a thousand bills on a graphics card. RTX Mobility. Sure, the best gaming PCs have had access to Nvidia Turing for a few months now, but what about gaming laptops? Well, word on the street is that Nvidia will announce RTX Mobility graphics for laptops at CES 2019. We’ll likely see the RTX 2070 Max-Q as the premiere mobile GPU, but we could see the RTX 2080 make its way to a laptop near you as well.